"M" Hook - Hancock Enterprises, Inc.
Hancock Enterprises is pleased to announce the release of the new M-Hook Gutter Hanger Patent Pending. Install gutters correctly every time without disturbing the gutter flashing. 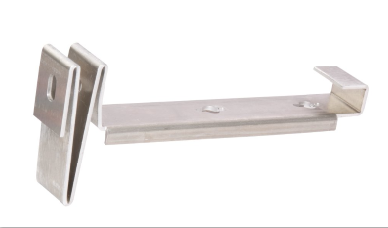 The M-Hook fixed bracket position won’t move during the fastening process, and the gutter flashing becomes an integral part of the gutter system. The M-Hook will also help reduce labor costs and allow installers to carry longer gutter lengths. Also check out our new gutter protection, Clean Sweep. Ask your local gutter material distributor for details.